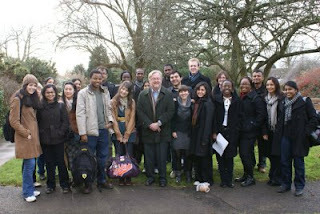 Earlier this month, I spent a wonderful week at the University of Warwick teaching to the very stimulating and motivated students in the master's programme. One of the students just sent me a photograph. Check out the site of the International Criminal Law Bureau (www.internationalcriminallawbureau.com), and especially its blog, which is being run by two of our former students. Contributions are welcome. The Bureau also has a mentoring scheme. I don't know if the organisers have considered the consequences of the EU Framework Decision on racism and xenophobia, which was agreed to by EU ministers at the Justice and Home Affairs Council in Luxembourg on 19 April 2007. The text requires that EU States make it a punishable crime to publicly condone, deny or grossly trivialise crimes of genocide, crimes against humanity and war crimes directed against a group of persons or a member of such a group defined by reference to race, colour religion, descent or national or ethnic origin. Member States may choose to punish only conduct which is either carried out in a manner likely to disturb public order or which is threatening, abusive or insulting. Whatever position one takes about whether Irving should be punished for such crimes, it is an entirely different matter to welcome this vile bottom-feeder to our university and give him a prestigious platform that has been occupied by distinguished visitors in the past. There are also cranks who believe that the earth is flat, but we don't invite them to deliver seminars in the geography department. Hopefully, the Irish immigration authorities will not let him into the country. Certainly any reasonable reading of the EU Framework Decision should lead to the conclusion that he cannot be welcome in Ireland, or at the University. The European Academy of Bolzano/Bozen invites persons belonging to national minorities, non-governmental organisations and experts working in the field of minority protection to provide their input into a study on indicators for assessing the impact of the Framework Convention for the Protection of National Minorities. This consultation will feed into an evaluation process of the Framework Convention's impact in its State Parties. The consultation process was launched in Strasbourg during the conference to mark the 10th anniversary of the Coinvention’s entry into force, held on 9 -10 October 2008. The aim of the study is to identify indicators that would help to review the impact of the Convention in the legislative and political environment as well as in the field of the judiciary. In order to produce as complete a study as possible, it is essential that those interested and, in particular, persons belonging to national minorities, comment on the text. Umbrella organisations and federations of associations of minorities are kindly invited to forward the message to their members. Those interested are invited to convey their comments and proposals regarding the study or its selected sections not later than 31 March 2009 to fcnm.consultation@eurac.edu. The Academy of International Human Rights and Humanitarian Law has a very thorough website on the international legal dimensions of the situation in Gaza: http://www.adh-geneva.ch/RULAC/current_conflict.php?id_state=113. Thanks to Andrew Clapham (who, in turn, thanks his team of Sharon, Annyssa, Stuart and Gilles). In research for my new book, Commentary on the Rome Statute, which should be completed later this year and available early next year, I have been reviewing the various documents of the International Criminal Court concerning the participation of victims in the proceedings. A glance at the website, especially the various proceedings of the Court, will give some idea of the large scale of victim participation. This is only a guess, but I suspect that there are more lawyers acting on behalf of the victims in the ongoing proceedings than there are lawyers acting on behalf of both the Prosecutor and the defence combined. How much does this all cost? I came across a document issued by the Committee on Budget and Finance of the Assembly of States Parties, which provides the main oversight of how money is spent at the Court. The Proposed Programme Budget for 2008, issued in July 2007 (ICC-ASP/6/8), estimated that out of approximately EUR 100 million, some EUR 14 million was required for ‘victims and witnesses’ (see p. 6). It is not clear how the figure was arrived at. There may be other more hidden costs involved in witness participation that are reflected in the length and complexity of the proceedings occasioned by victim participation. I suspect that the relative importance of victim-related costs continues to increase as well. Of course, the main financial centre for victims is supposed to be the Trust Fund for Victims, established in accordance with article 79 of the Rome Statute. According to its last report, the Trust Fund totals about EUR 3 million, composed essentially of contributions from several wealthy States. For a couple of years, these amounted to about EUR 1 million a year, but the amount has now declined to EUR 500,000 for the most recent fiscal year. Here’s the problem: the administration costs of this fund amount to about EUR 700,000 per year! Does any of this make sense? We have an enormous apparatus engaged in supporting ‘victims’, but maybe the ‘victims’ would prefer to see the money themselves. If the international community has EUR 15 million per annum to devote to ‘victims’ in the Congo and Uganda, the money might be better spent on a new hospital or a school. Right now, the main beneficiaries of our efforts to help the ‘victims’ would appear to be international civil servants, lawyers and airline companies. I really doubt that when the Rome Statute was adopted in 1998, those who participated in the negotiations ever imagined that victim participation would involve so much in terms of resources and would deliver so little in concrete terms to the victims themselves. 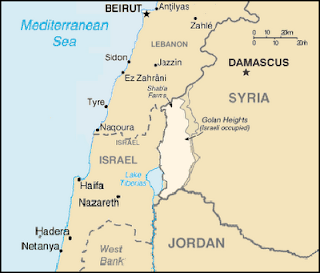 My colleague at the Irish Centre for Human Rights, Dr Ray Murphy, and Declan Gannon, a graduate of our LLM Programme, have just produced a study on human rights and humanitarian law issues in occupied Golan, for the NGO Al Mersad: http://www.mediafire.com/?lovnk1onzt1. This is the famous 'Free Derry Wall', all that remains of a housing estate located in the heart of the bogside, not far from where the Bloody Sunday massacre took place. 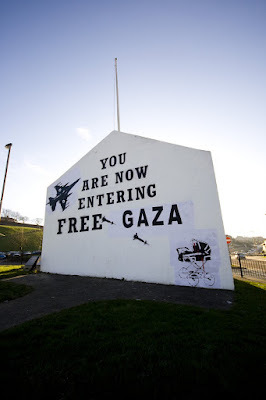 Derry residents had it repainted a few days ago in solidarity. Thanks to Paddy Logue for this. 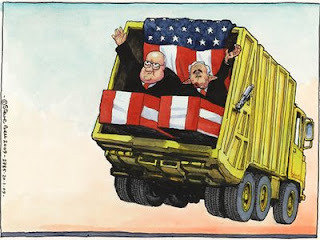 In the final days of 2008, the European Court of Human Rights issued an order against the United Kingdom protecting two Iraqis who were threatened with being transferred from the custody of the UK to Iraqi authorities. I don’t believe such orders are ever posted on the website of the Court. I have obtained a copy of the confirmation letter that was sent to the solicitor for the applicants: http://www.mediafire.com/?jjzlztm9xyn. Subsequent to the order, an injunction was issued by the High Court to prevent the transfer, as this would breach the provisional measures requested by the Court, but a few hours before midnight the order was rescinded and the UK proceeded with the transfer. ‘Unprecedented and shocking’ is how the solicitor for the applicants, Phil Shiner, describes the developments. At least two important issues are raised in this case: 1. the binding nature of provisional measures requests from the European Court of Human Rights; and 2. the extraterritorial scope of the European Convention on Human Rights, that is, its application to the British in Iraq. As for the first one, I thought this had all been decided in favour of the binding nature of such requests by case law of the Court, which only confirms the approach of the International Court of Justice in the LaGrand case. On the second point, obviously the judge who issued the provisional measures request considered that there was a serious legal foundation for a claim before the European Court of Human Rights concerning the acts of the United Kingdom in Iraq.